The Unit programs are the responsibility of the Guides and Leaders. But the District Manager has the overall accountability for the quality of the programs in her area – ensuring programs are enriching, challenging and varied. You also have a role to ensure your Leaders are adequately trained and qualified to deliver the Program and that the appropriate paperwork for Program and outdoors activities is completed. Advice and assistance is available from Resource Leaders, Outdoors Leaders, State Subcommittee Chairs and State personnel in the areas of camping, water activities, adventure activities, environmental/earth education activities, air activities and radio activities. As a District Manager you can encourage your Leaders to undertake Outdoor Modules which are required for the Leader-in-Charge of the activity. 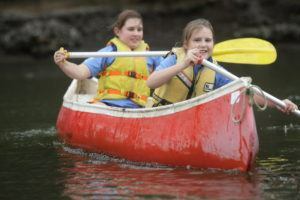 Outdoor Modules for conducting camps, expeditions, canoeing and rowing are available on the GGA website. For information on trainings and activities refer to your State newsletter, Learning & Development calendar or State website. When planning Region trainings for the year ahead, consider whether it would be valuable to hold training in any areas related to the outdoors. Information on outdoor activities and training opportunities can be included in the Region newsletter. As part of the talent planning at Region level, consider whether there are opportunities to appoint Outdoors Leaders to enhance the capability to run outdoor activities and / or appoint a team member to specialise in the outdoors. As part of your meetings take time to brainstorm outdoor activities. At Region level you might decide to subscribe to ‘Our World News’ which is a quarterly magazine produced by WAGGGS containing news and articles relating to Girl Guides and Girl Scouts throughout the world. 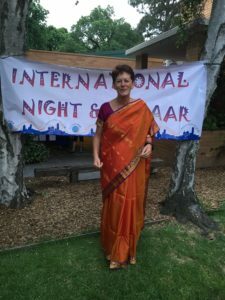 You can encourage your youth and adult members to access International opportunities (published on the Girl Guides Australia and State websites). For girls aged 18 years and over there are opportunities for gap year volunteers at World Centres. These opportunities offer growth and development as well as exposure to other cultures. Events at World Centres are a gentle introduction to other cultures and any member can apply. All applicants are interviewed and final selections made at national level. District Managers and Region Managers have a role in assisting members to apply for international activities and are responsible for providing references for members applying for international events. Limited funding is available for assisting members to attend events and so members are encouraged to raise funds by their own efforts as needed. They may be assisted by their Unit/District/Region provided this does not compete with Support Group fundraising activities. Any member travelling overseas for twelve months or less can apply for a WAGGGS Introduction Card from the State International Manager. Any member moving overseas for one year or longer can apply for an Overseas Transfer form from their State Office. Guides and Units can organise their own service projects, but some service projects can be undertaken as District events, taking the opportunity to build links between Units in the District. 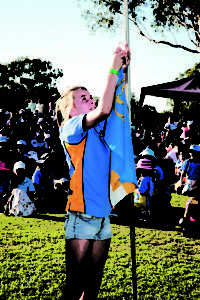 Service projects utilising community days can be included in the events calendar, such as “Clean Up Australia” day. As the District Manager or Region Manager you can also ensure Units know of and are encouraged to participate in State wide events. 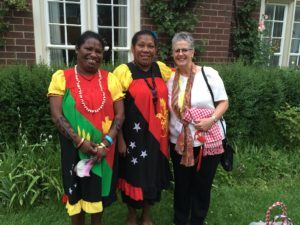 Ceremonies are an important Guiding tradition but are not just restricted to special occasions such as a Promise or World Thinking Day Ceremony. They can also be used at the weekly meeting for opening or closing the meeting, presenting a badge, a welcome or farewell or progression to another Unit. Ceremonies are planned and carried out by the girls. They instil a sense of occasion, participation, belonging, sharing, friendship, achievement, recognition, caring and respect. If flags are being used as part of a ceremony, they must be treated with respect and protocols observed.